Do you like To the Top: Infinity? Share it with your friends. 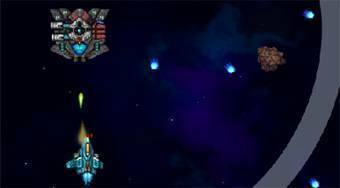 To the Top: Infinity is a very good flying shooter in which you will be able to fly with your small spaceship by space, shoot enemy spaceships, avoid their shooting, attacks, try to stay as long as possible and record as many points as possible.